ENJOY THE BEST OF GREECE! DELFINIA specializes in arranging hand-crafted vacation and honeymoon packages to Greece & the Mediterranean. In our many years of traveling and living in the region with our family and friends, we have come to understand the interests and needs of travelers of all ages—from families to couples and small groups alike. Our thorough vetting of accommodations, activities, and all service providers eliminate the guesswork in vacation planning—saving you time and money and ensuring hassle free travel! Active Experiences such as light treks with expert mountain guides, 4 X 4 excursions, sea kayaking, wind surfing, kite boarding, and more! 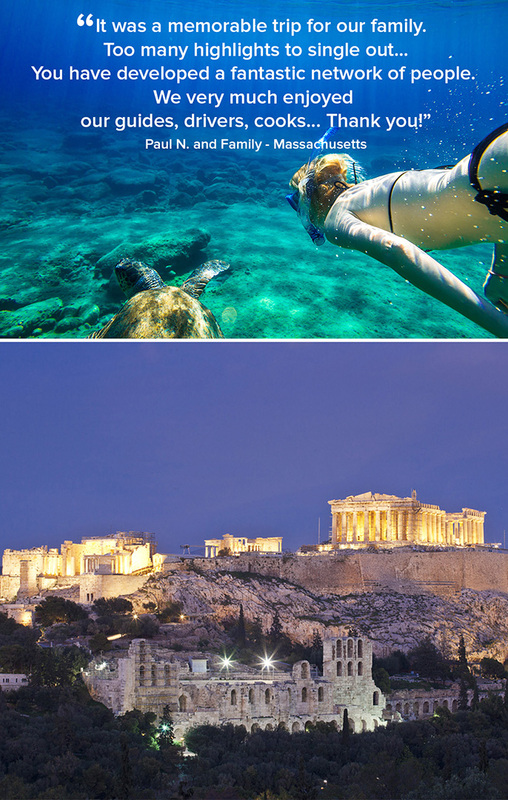 Private Motor Yacht and Catamaran Charters in Greece and the Mediterranean—a great way to see the islands! Each of our charters is hand selected for their great crew, as well as for their comfort and amenities. Greek Island Villa Rentals on Mykonos, Santorini, Paros, Naxos, and Crete — relax in your sea view villa and let DELFINIA arrange a full program that may include a dedicated private driver, private chef and fitness instructor, as well as interesting local activities and excursions. Contact DELFINIA to begin planning your dream vacation or honeymoon!